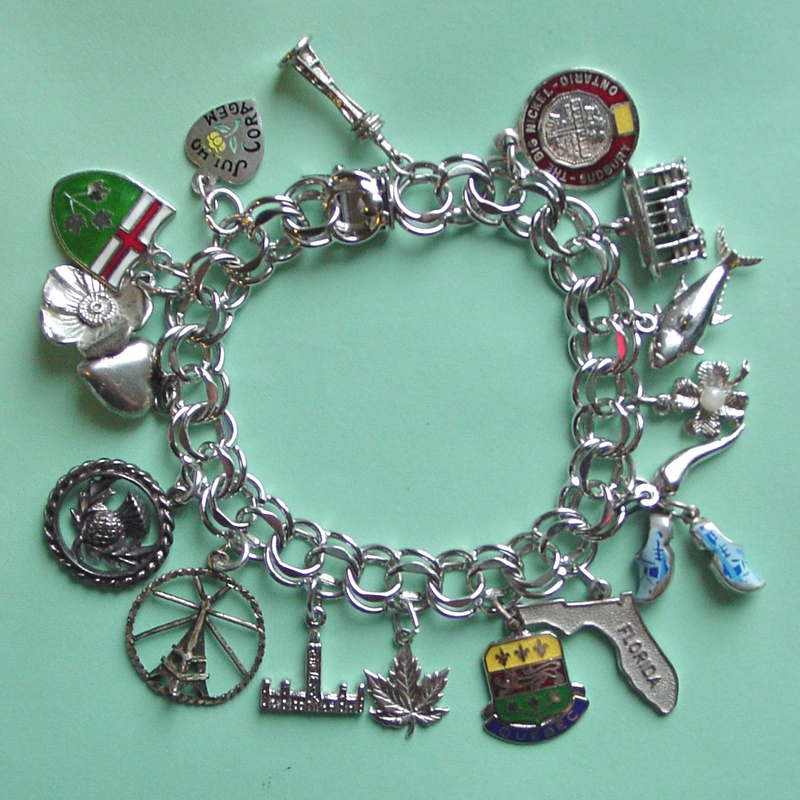 It’s my birthday today, and what better way to reflect upon my many, many achievements than by putting up a picture of a bracelet with charms of the many attractions and places I have visited. Except I’ve never been to Portugal so that one’s kind of a lie. And there’s like a heart in there. I can’t say that I’ve been shrunk down and injected into a human body, either. But I have been to the Big Nickel. And the Seattle Space Needle.